The company claims that the vehicle can travel for up to 110 kms and achieve a top speed 86 kmph. 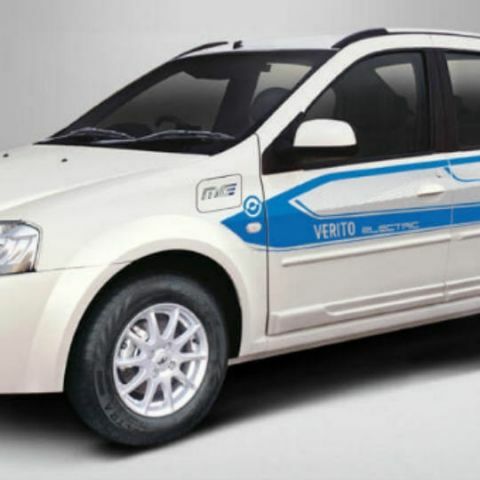 Mahindra has launched the all-electric eVerito sedan in India. The car is available in three variants, D2, D4 and D6 variants, priced between Rs. 9.50 lakh and Rs. 10 lakh (ex-showroom, Delhi). The company claims that the vehicle can travel for up to 110 kms, and can achieve a top speed of 86 kmph. Furthermore, the car comes with a 72V pack of Lithuim-ion batteries, and the company claims the car's running cost of Rs. 1.15/km. The Mahindra eVerito will be available for purchase in select cities, including New Delhi, Mumbai, Bangalore, Pune, Kolkata, Chandigarh, Hyderabad, Jaipur and Nagpur. The Mahindra eVerito features Regenerative Braking technology. This stores energy generated during braking, and sends it back to the motor, resulting in a few extra kilometers of range. It also features REVIVE, which offers an extra 8 km of range in the event that the car is running low on energy. Further, drivers will receive monthly statistics about charging patterns, distance travelled, fuel saved and more though the car’s Telematics feature. There is also an Intelligent Energy Management System (IEMS), which calculates certain aspects of the car such as the status of charge, distance to empty, battery charge, optimum range and so forth. The D6 variant of the car will come with fast charging, and Mahindra says that this variant can charge from 0%-80% in about 1 hour and 45 minutes at the company's electric fast charging stations.